The Standard double bedded rooms are comfortable and tastefully decorated with en-suite facilities. The Standard/Classic Rooms are beautifully decorated with lovely wall coverings and fabrics, comfortable seating and include antique furniture such as dressing tables and chest of drawers. These rooms are well equipped with adequate storage and cupboard space and facilities include direct dial telephones, flat screen Sony televisions, hairdryer and trouser press. All bedding is made up of luxurious Egyptian cotton sheets and pillow cases, soft down feather pillows and high quality blankets. 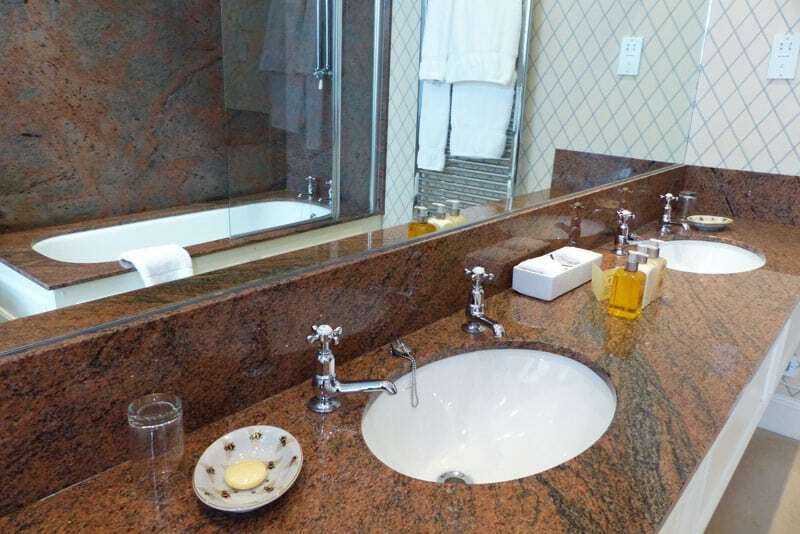 The bathrooms are spacious and inviting with heated towel rail, full size bath, towelling bathrobes, soft fluffy towels and luxury Arran Aromatic toiletries.